New home loan refinancing rates have dropped to below 4% and are at the lowest they have been since May of 2013. There are a lot of reasons for the falling rates: plummeting oil prices, weak economy globally, better U.S. dollar position in the global market. Another, perhaps more unlikely place, for the interest rate nudge downward is technology. Increasing efficiency in technology has made interest rates drop. Ellie Mae, the leading software provider for the mortgage industry reports that lenders are able to create, develop and close home loans faster and more efficiently thanks to better technology. That saves them money that they can then pass on to borrowers in the form of lower interest. Lenders use technology in many ways to process mortgages. Better technology means less paperwork, fewer man hours spent processing and approving loans, and fewer delays. Home loans are typically closed in as few as 37 days from the time a home buyer applies to the final closing date; some are even finalized in a month. The faster the loan process goes, the better the rates can be for home buyers. There are a few reasons home owners may consider refinancing their existing mortgages. Some of the reasons are the desire for better rates when interest drops below their loan rate, shortening the time period of the existing loan, cashing in on the equity they have in their home after paying on a mortgage for several years. There is more than one type of home refinance. In the most basic form, refinances fit into three categories: cash-out, cash-in and rate-and-term. Cash out refinance loans allow the home owner to refinance for the amount needed to pay off the existing mortgage, plus an additional amount they can use to purchase vacations, home improvements, fund college tuition or other uses. In order for a refinance to qualify in this category it must increase at least 5 percent over the old loan size. At closing the additional funds from a cash out refinance can be handed to the home owner, or directed to specific sources such as credit cards, student loans the IRS or other creditors. Cash in loans are basically opposites to cash out. 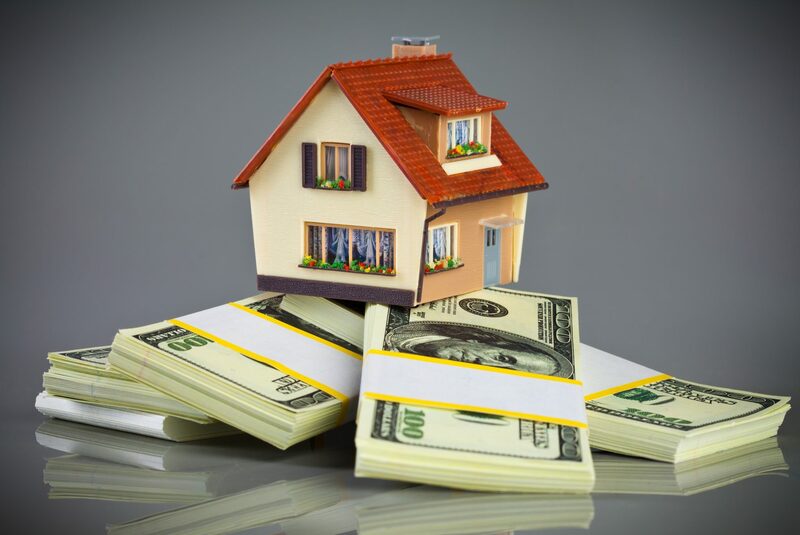 Instead of the home buyer getting money at closing, in a cash in refinance, the home owner pays additional money at closing to reduce the amount of the loan. Cash in loans allow home owners to reduce the amount of a monthly payment, or reduce the number of years a loan will take to pay off. Cash in loans became very popular between 2007 and 2009 when home values were going down and home owners wanted to refinance, but didn’t have enough home value to qualify. The passing of HARP in 2009, the Home Affordable Refinance Program, helped many home owners get the financing they needed without having to pay extra money. Since 2009 over 3 million loans have been approved with HARP assistance. Rate-and-Term mortgages often have no money differences at closing, but instead offer the home owner better terms on the mortgage. This type of refinance is very popular now with interest rates going down. It allows for the home owner to take advantage of the lower interest to reduce monthly payments without any additional input of money, or shorten the length of their loans while maintaining the same payments. According to Freddie Mac, the rate-and-term refinances are the most commonly requested type of refinance with over 70% of all home loans taking advantage of the better terms in the last quarter of 2014. Home owners can rejoice at the speed that the new lower interest rates allow refinances to close. Ellie Mae manages over 3 millions loans every year and reports a typical closing time of 37 days. That is a better than 18% improvement in closing times over the previous year. Lower interest rates are a big reason for this reduction in closing times. In spite of a slight surge last June, mortgage interest rates have gown down on a steady basis. Even so, up until October of 2014, most home owners didn’t even notice the rates dropping. Over most of the previous years, the rates had dropped so slowly that it seemed insignificant to the average home owner. That meant that with so few refinances in the works, lenders could get through those loans faster than ever before. To keep up, lenders were actively looking for more loans to provide to home owners resulting in lower rates to attract more loans. With current rates in the 3% area, refinances are increasing. Thanks in large part to Ellie Mae’s advanced software system mortgages are closing faster as well. The better software makes lenders more efficient in their application process, disclosures are acquired more quickly, the software makes electronic signatures easier so there is less need for mailing and waiting for signed pages, things that simply weren’t an option in past decades. These advances have helped increase the speed at which a mortgage closed. Ellie Mae reported an average of 37 days in 2014 where the typical closing time was 45 days in 2013. 5 days may not seem like a big deal, but in the mortgage industry it can mean a big difference in interest rates. Refinance interest is calculated based on how long a loan takes to close. A refinance loan that closes in 30 days gets better rates than one that closes in 45, and every 15 days will increase the rate by about 0.125%. So, while the economy is a driving factor in better rates, technology has a huge impact as well.